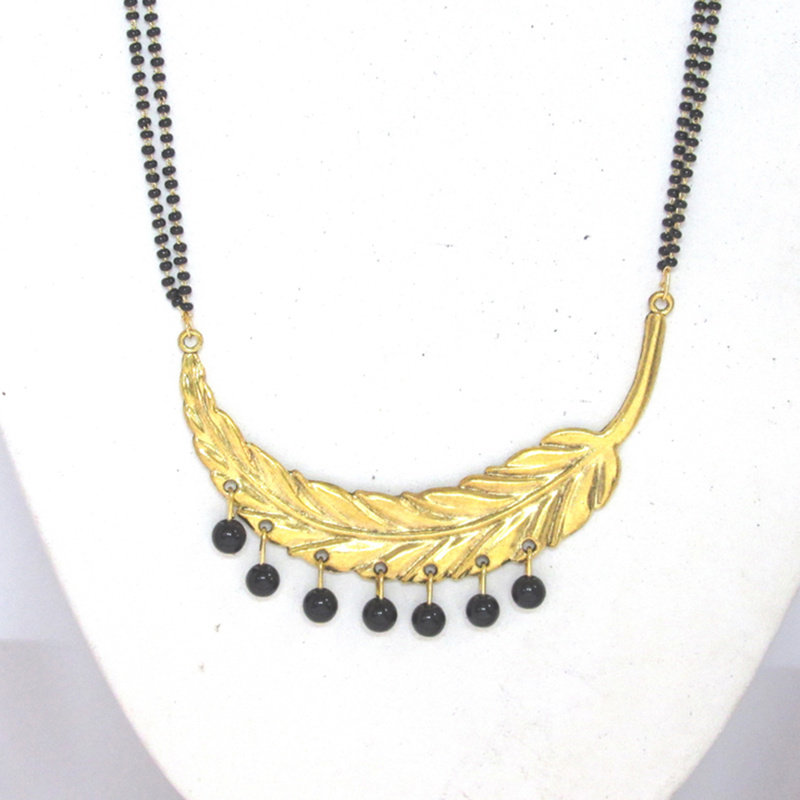 Give in to the exotic confluence of today and tomorrow in this black-golden colored leaf pendant drop mangalsutra set. 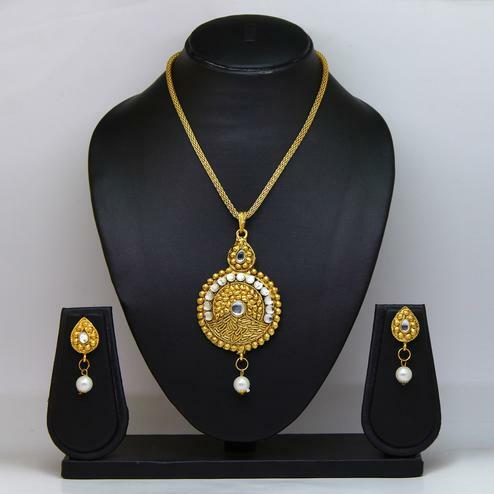 This set comes with mangalsutra & earrings set. 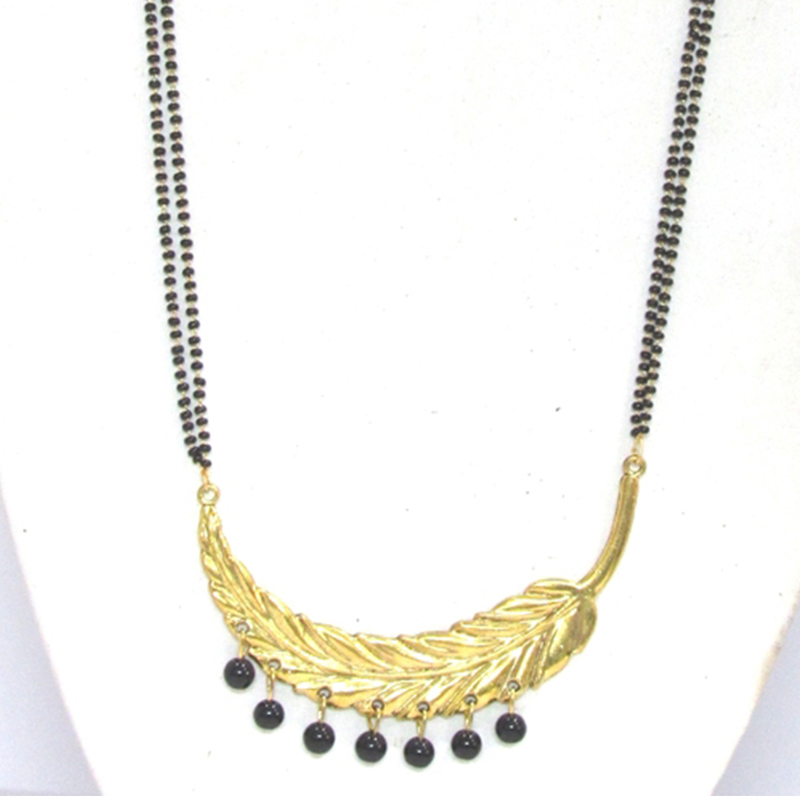 It is beautified with alloy and black beads making it more attractive. 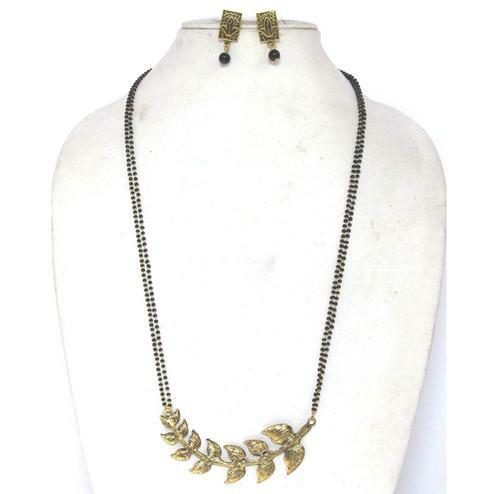 Pair these up with ethnic attire. Ideal for festivals, casual, parties and social get together. 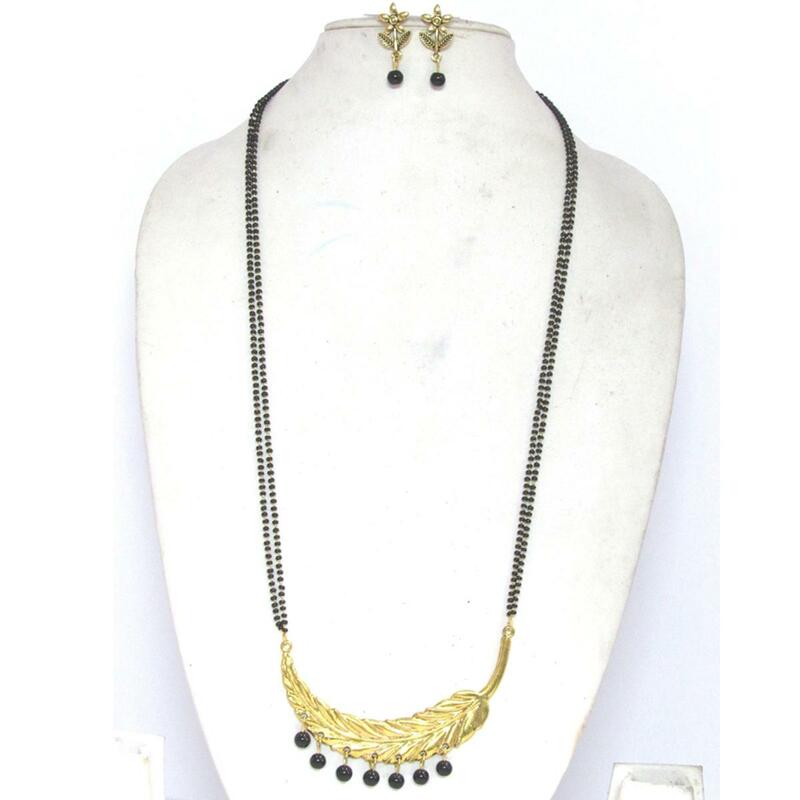 This pretty set will give an elegant look. Buy this now before the stock ends. Note:- the actual product may differ slightly in color and design from the one illustrated in the images.